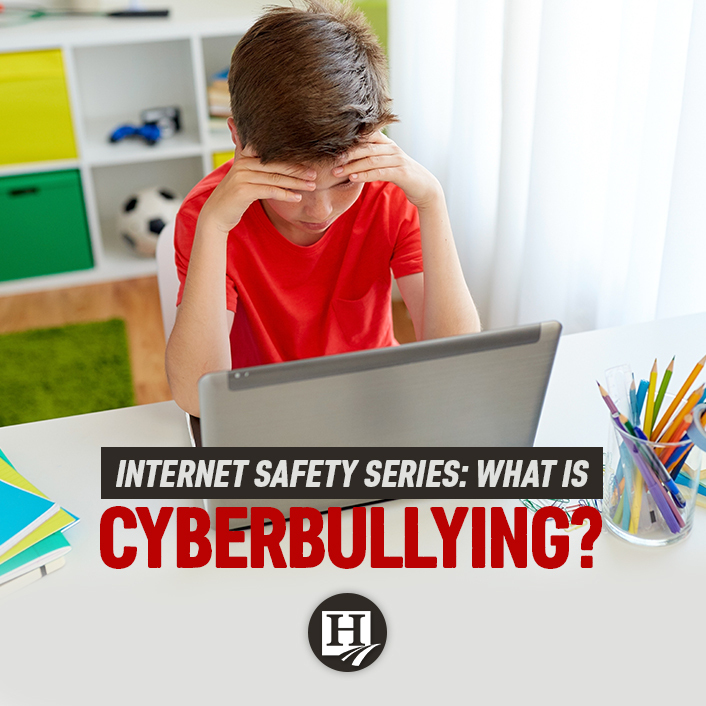 Internet Safety Series: What is Cyberbullying? In today’s age, most students of all ages have access to the internet in one way or another. Between cell phones, tablets, computers, and game systems, students are interacting with others on the web in one way or another. Because of this, cyberbullying has increasingly been on the rise. What, exactly, constitutes cyberbullying? Cyberbullying is no different from regular bullying except that it occurs over digital devices. It can occur through text messages, on social media, and through private messages (such as DMs on Instagram or Messenger on Facebook, etc.). It can also occur on privately-run blogs and websites. But what is cyberbullying? Anything posted or shared that is negative, harmful, threatening, or mean. It can also include sharing private information (for instance, sharing screenshots of private messages) that ends up causing another person to feel humiliated or embarrassed. Some instances of cyberbullying cross a line into unlawful or criminal behavior. Cyberbullying isn’t just harmful to the victim; it’s also harmful to the bully. This is one area cyberbullies don’t seem to stop and think about before blasting people online. Not only are they harming another person’s reputation but they’re also making themselves look petty, mean, and aggressive to potential employers, friends, family, etc. Continuous – Because cyberbullying can be done in very passive-aggressive ways and people can hide behind screen names, it can continue indefinitely. This leaves the victim feeling practically helpless and at the mercy of the “keyboard warriors” (people who hide behind fake screen names to harass others). Permanent – As with just about anything posted on the internet, cyberbullying messages are permanent. Even if it’s taken down, it’s accessible through some archive sites. Further, as soon as something goes live on the internet, another person can screenshot it, making it available to at least someone forever. Undetectable – At times, since some keyboard warriors are smart at staying anonymous, cyberbullying can take place in ways that make it difficult for parents and teachers to prove or take action. However, if any physical threats take place, please take anything you have to law enforcement. They have people whose job it is to trace cyberbullies, regardless of how “anonymous” they may think they are. Cyberbullying, though it occurs online, is just as harmful as bullying that takes place in person. Since it’s so dangerous, is there anything parents and teachers can do to keep up a safeguard for children? Stay tuned – our next installment will discuss just that!